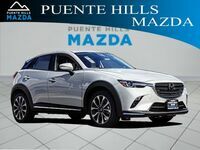 The new Mazda CX-3 was designed with high-class in mind. 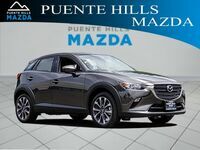 As the smallest of the Mazda crossovers, it has been one of the most versatile models in the Mazda lineup for years. 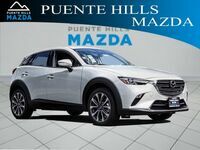 Compact crossover SUVs have become increasingly popular during the 21st century, and the Mazda CX-3 epitomizes why. We love vehicles that are stylish, efficient, safe, and perform well. 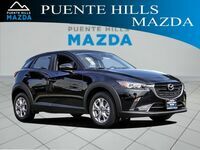 The Mazda CX-3 encompasses all of those traits and more. And the 2019 model comes with a redesigned interior that will make you feel like you're living a whole new life. The old cable-operated parking brake has been replaced with an electronic unit and other materials have been refined or totally replaced. For the first time, full leather seats are available on all trim levels. Other new interior features include red accent lighting, faux-suede appliqués on the dash, and a new fold-down center in the rear. These changes add up to create a brand-new environment. While the new interior of the Mazda CX-3 is bound to impress drivers, what's under the hood might matter more to some. The new Mazda CX-3 is available in three trim levels, each with the same engine option. 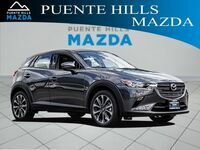 The Mazda CX-3 features a 2.0-liter inline-four-cylinder-engine that is powered by 148 horses and produces 146 pound-foot of torque. Each trim level comes standard with front-wheel drive but all-wheel drive is also available. The only available transmission is a six-speed automatic with auto-manual capabilities. Perhaps the Mazda CX-3's biggest calling card is its efficiency. Drivers will enjoy up to 34 highway MPG and 29 in the city. 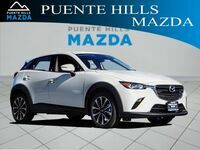 Interested shoppers should come check out the new Mazda CX-3 in person. Our sales staff is ready to go over all pricing details with you and we can even get you set up for a test drive the day you stop by. Or, if you just want to gawk, you take a carefree stroll through our showroom. Whatever stage you are at, we hope to see you soon!